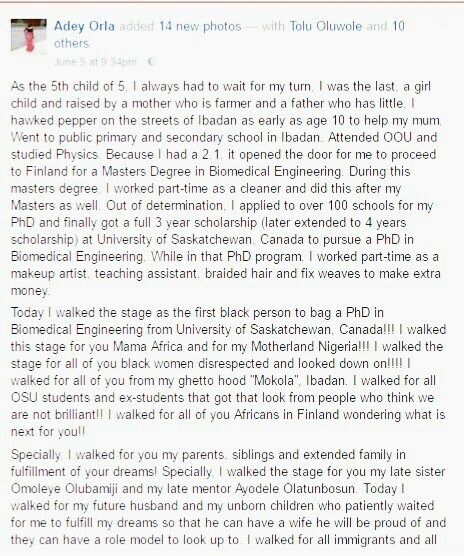 An inspiring story from a hard-working Nigerian woman! ~ CK Jacob: Nigerian Fiction And Lifestyle Blog. 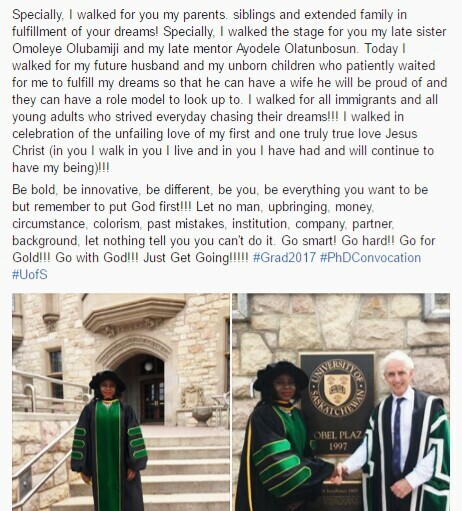 An inspiring story from a hard-working Nigerian woman! 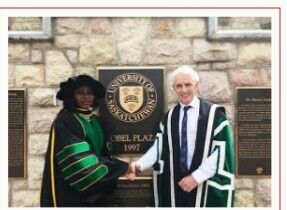 Meet a Nigerian woman who just graduated from the University of Saskatchewan, Canada. Aside from hawking fresh pepper, helping her poor parents, she did other part-time jobs to fund her education. She got herself a Ph.D. in Biomedical Engineering and she shared the good news together with the story of her struggles.